“A vivid portrait of faith lost and found through the eyes of a Japanese Buddhist monk in America” (Shelf Awareness) as he makes his way from an isolated monastery in Japan to the bustling streets of Brooklyn, New York. Seido Oda spent his boyhood in a small mountainside village in rural Japan. When his parents hand him over to the monks at the nearby Buddhist monastery, he devotes himself to painting, poetry, and prayer—and avoiding human contact. But his quiet life is unexpectedly upended when he is ordered by his superior to open a temple in Brooklyn. New York is a shock to the introverted Oda, who now must lead a ragtag army of eccentrics who make up the local Buddhist community. After tragedy strikes, Oda finally realizes his own long-buried sadness and spiritual short­comings. It is only with newly opened eyes that Oda comes to find in Brooklyn the home he has always sought. The life of a man is like a ball in the river, the Buddhist texts state—no matter what our will wants or desires, we are swept along by an invisible current that finally delivers us to the limitless expanse of the black sea. This image rather appeals to me. It suggests there are times when we float lightly along life’s surface, bobbing from one languid, long pool to another. But then, when we least expect it, we turn a river bend and find ourselves plummeting over a thundering waterfall into the churning abyss below. This I have experienced. And more. Hard as it is for me to believe, my journey downriver started six decades ago, when I was born with little fuss in the village of Katsurao, high in the mountains of Fukushima Prefecture in Japan. My parents’ inn was just eight kilometers from the nine-hundred-year-old Head Temple of the Headwater Sect of Mahayana Buddhism. When I came into this world, the fifteen thousand villagers of this simple trading post on the lower slopes of Mount Nagata still clung to the rocky banks of the Kappa-gawa before it dropped two thousand meters in a series of small waterfalls to the rice plains in the flatlands far below. The upper reaches of my village consisted of three commercial blocks that ended in a pedestrian shopping plaza, a small bus depot, and a handful of low-rise apartment buildings that also housed a medical clinic built in the 1950s. Simple wooden houses stood in the narrow lanes of the old town down by the river. Flat-topped workshops housed a sheet-metal worker, a wood-carver, and a fish-smoker who plied their wares to villagers. The town straddled both sides of the roaring Kappa-gawa, its inhabitants connected by two stone bridges. Every day our neighbor, bowlegged Mrs. Saito, left her money in a box at the Mujinhanbai, a produce stall run on the honor system, and I have fond recollections of her staggering through the town’s narrow alleys with her turnips and cabbages, tottering like a windup toy back across the lower cobblestone bridge. There was something supernal about this stone and wood village in the crags of Japan’s mountains. At night, a silky film of dew was laid across every roof tile, bridge, and bush of the village, and when the first shafts of mountain light pierced the thin air, the town smoldered and smoked with rising dew-steam, making it appear as if we were half of this world and half of the next. My family’s inn was called Home of the Lotus and catered to the Headwater Sect pilgrims who came to our mountain outpost to visit the Head Temple. My great-grandfather built the ryokan in the 1800s, and it was packed in among the other village houses standing tight at the edge of the rock face that fell dramatically to the river’s Town Pool below. The main house was connected by a short covered walkway to a series of additional guest rooms and bathhouses added to the family property in the 1920s. Wherever you were in the inn, night and day, you could hear the river praying. I was the second of four children, born behind Senior Brother Daiki, and ahead of younger brother Yuji, and baby sister Atsuko. The family’s private rooms were in the back of the main house and of modest proportion. We had three small rooms upstairs, in the attic eaves, and two larger rooms on the ground floor separated by sliding fusuma rice-paper panels. Both floors of private rooms were connected by a steep wooden staircase worn smooth by over one hundred years of my family’s passing feet. Our Oda family altar was downstairs, and in time the Toshiba television set was installed upstairs. Behind the fusuma panels were boxes carefully storing our family’s history—Grandfather’s uniform in the Imperial Army, Great-Grandmother’s wedding kimono. My mother, Okaa-san, was the rock of our mountain existence. When I think of her now, I recall one hard winter night when a blinding snowstorm and howling winds blew furiously across the mountain cliffs. We were warm and safe inside the inn. I was painting at the kotatsu, a table heated from underneath and covered in a futon. The room smelled of ink and wet wool and pickled radishes. My mother was kneeling on the tatami mat across the room as tiny Atsuko suckled inside the loosened folds of her robes. The old-fashioned kerosene heater in the corner burned bright, its yellow heat casting a luminous glow across Mother’s face. Okaa-san was a devout follower of the Headwater Sect and she had a little transistor radio in the corner softly tuned to Shomyo, sutras set to melodies and sung by Buddhist monks. Her skin was smooth and creamy as rice, and her eyes above her pinkish cheekbones were soft with relief, as if the baby’s suckling and the monks’ incantations were transporting her to some heavenly place far from this difficult world. When I moved my brush across the paper, Mother’s eyelids suddenly fluttered open and she came back to the reality of the inn. She remembered I was there and smiled. I can still remember the morning she called my name while I was playing in the small garden that was sandwiched between the ryokan and the rocky cliff bank of the Kappa-gawa. I was about nine years old at the time. The golden-ray lilies were in bloom and the Asian rosy finches were fluttering their wings and splashing about the carved birdbath. My mother called again, more urgently, and I put down my stick, dutifully making my way to the fusuma door panel that connected the guest rooms to the main house. Leaving my sandals at the entrance, I slipped inside and walked the waxed and darkened corridor just as a white-haired couple wearing the house yukata robes emerged from their guest room. It was Mr. and Mrs. Nakamura, pilgrims from Kyoto, who came every year for prayer and ritual cleansing. They recognized me as the son of the innkeepers and greeted me courteously before separating at the end of the hall. Mr. Nakamura went right to the wood-paneled hot baths for men, his wife to the women’s bath quarters to the left. As I turned to fetch the tray, an American couple—tourists, not pilgrims—came strolling leisurely back from the baths. They laughed loudly as they made their way down the hall. The woman was blond and young and very beautiful, while the man was middle-aged and had hair the color of silver mink. For a moment the couple stood at the entrance of their room, where my mother was still bustling about, and cautiously peered in. “Hey,” the man said in a friendly way, trying to determine if they were permitted to come inside. We were all staring at his feet. He wore the bright green toilet slippers. My parents were typical of the generation born in World War II: always working, always harried, always mono-focused on rebuilding the family fortune. My image of them is with their backs bent in two: father bowing repeatedly to the guests, bent over his workbench as he rewired a floor lamp, bent over the roof as he repaired broken tiles. Mother, in her blue-and-white kitchen smock, a kerchief wrapped around her head, bent as she fed wood into the fire that cooked the bamboo baskets of mochi rice cakes, bent over the garden as she raked the gravel paths. By the time my older brother had reached adolescence he, too, began to assume the family posture, hunched over as he carried heavy luggage back and forth down the ryokan’s corridors. So perhaps it is no wonder that Okaa-san was angry. Despite all the hard work, my parents never had enough to get ahead, the upkeep of the 150-year-old inn constantly draining them of their funds and life force. But at least I always knew where I stood with Mother, no matter how cross she was. In contrast, my father, Otou-san, was as remote and mysterious as the surrounding mountains—and almost as impossible to read. You never knew what weather was blowing up in those peaks. I was a very young boy when I first realized my father was different, an understanding that came in a torrid October downpour. Daiki, my older brother, was beside me as we stood silent and shoulder to shoulder in the frame of the kitchen door. Otou-san was in the courtyard, feverishly cutting down the orange persimmons that had been hung to dry from strings tied to the eaves in the back of the inn. Left in the torrential rain, the persimmons would quickly spoil and rot. Turnips were on a slow boil in the kitchen behind us, and the air my brother and I breathed in the door threshold was half from within and half from without, an acrid smell of leaf rot mingling with the vapors of the bitter roots. The rain fell and fell and fell, hitting the ground in heavy clumps as if a mountain god above had just upended a cistern. Water rushed like a swollen river over the courtyard’s cobblestone, streaming in heavy rivulets down Father’s reddened face as he gathered the persimmons in his arms. The way the rain ran down his face made it look like he was crying. When his arms were full of the orange fruit, he turned to dash back to the kitchen and off-load the persimmons. His soggy slippers snagged the edge of a courtyard stone and he stumbled. Otou-san managed to regain his footing, but the half dozen persimmons flew out of his arms, scattering and rolling through the dirty rain puddles. Daiki and I watched Father as he stared at the lost fruit. His face went blank, his eyes two flat, black, and vacant discs. It appeared to me that whatever spirit kept him alive had just washed out of him, was in the gutter river and fast disappearing down the drain. For an unnaturally long time he took the rain’s pounding, his head bowed, just staring at the fallen fruit. When Mother finally came upon us she scolded my father, making such a racket he finally snapped out of his trance and allowed himself to be brought inside to dry off. But before my mother arrived, the three of us stood still for a long time, until I finally felt my older brother, Onii-san, take my hand. He took my hand. And held it tight. That is the way it was. It was Senior Brother, Daiki, not my parents, who was the true sun and moon of my world. It is Onii-san who taught me how to fish the Kappa-gawa and its tributaries for the Japanese mountain trout called ayu. These mountain outings with my brother were the most joyous moments of my childhood, and just the memory of them today can bring me to tears. On a spring day when I was seven, Onii-san took me far up Mount Nagata, to the rarely fished Devil’s Gate Gorge, near the Kappa-gawa’s headwaters. When I was too tired and small to climb the last rock face, Senior Brother carried me on his back. We passed through the giant boulders cinching either side of the Devil’s Gate Gorge, where the water inside thundered and roared, amplified by the stone basin’s acoustics. We inched our way along the deep green water’s pebbly edge, to the sandbar at the bottom of the waterfall’s long pool, just inside the gorge. And there we stood in awe. The majestic water fell 150 meters, thundering to the rocks below. A few bold boulders stood their ground as they were hammered deep in the pool. Daiki removed two Tenkara fly rods from our backpack. There was no reel, just a leader and line attached directly to the end of the bamboo rod. At first my brother did not fish, just stood over me, patiently whipping the rod back and forth, trying to show me how to dance the fly on the river’s surface. I grew bored and hungry and crossly told him to catch us a fish. My brother stood at the top of the sandbar and cast his fly to a rock in the middle of the current, dappling the dressed hook. The waterfall cascaded behind him, and I can still see his outline against this white wall, a silhouette of a boy in bas-relief. His fly swirled slowly in the eddy behind a rock, and a shadow rose lightning-quick from the water’s depths. Onii-san and I simultaneously cried, “Aieee!” as the line went tight and the water erupted in the boil of a thrashing fish. Daiki valiantly hopped from rock to rock as he followed the fighting fish. But it was too strong. The leader snapped, leaving a sickeningly slack line and empty silence. I burst into tears. “I am sorry, Onii-san,” I wailed. Daiki was not at all handsome like my younger brother, Yuji. He was willowy, hunched in the shoulders. Nor was he a particularly good student in school, as I was. But his eyes. They emanated kindness and a natural wisdom, almost eerily so for a mere boy. Mrs. Saito, our neighbor, once called my brother “one of earth’s natural noblemen”—and this was the truth. My younger brother, Yuji, was the opposite of Daiki. He was tough, like Mother, but with an added dash of impish charm. Yuji looms large in my memory, particularly on that day when Mother cooked a large vat of country noodle soup for dinner. She had placed the pot in the yard outside the kitchen door, so she would have enough elbow room to finish preparing the evening’s meal. While Mother was distracted elsewhere in the kitchen, Yuji snuck forward to pinch a bowl of soup for himself. I was coming from the work shed behind the inn, fetching a toolbox for Father, when I caught Yuji red-handed. He was on his haunches next to the vat of broth, one hand reached inside. I angrily clicked my tongue in warning. Yuji looked at me sideways. When he saw who it was, he visibly relaxed, slyly turning on me a coconspirator’s smile. He gently offered me the bowl in his hand. I was older, knew better. But I was helpless against my brother’s charm, and I took the bowl, our karmas forever sealed over a shared bowl of stolen soup. But I do nothing honorable by making my siblings out to be more than what they were. Below the surface there was darkness in our family, and sometimes this darkness materialized, as is normal, in the rivalry of brothers. One year, when I was perhaps eight years old, the family rose early for the annual plum-picking up on our plot of land on Mount Nagata’s upper foothills. My great-grandfather had purchased the small plot from a farmer a century earlier, and had planted a hardy breed of Satsuma plum trees from Kyushu, which were plump and sweet and only ready for plucking, due to the high altitude, in late July. We had our picnic on a blanket spread out under the plum trees, bees buzzing drunkenly around the sugar-filled fruit. A mountain hawk-eagle circled the pass. Mount Nagata, looming high over us, had fresh snow on its peak, a rarity for that time of year, and the air smelled of honey and faraway ice. Mother tidied up after lunch, washing out the little bowls in the nearby stream, my baby sister tied in a papoose around her back. Yuji, about six at the time, had fallen asleep and was curled up in a corner of the blanket. I was too young to be of real assistance in the plum-picking, and sorely envied Daiki. He was under a tree, holding a reed tray, gazing skyward. Father stood on a ladder in the branches high above and harvested the year’s rich plum crop with a small knife. Periodically he came down to unload his smaller basket into Daiki’s tray of fruit, which my brother relayed to crates in the back of the Nissan truck. I walked over to the tree where they were working and poked at the plums in Daiki’s basket. My brother pushed me away, but I came back under the tree, stood my ground, and called up the ladder. My father up the ladder ignored me. I carried on for a half hour, curled around the base of the tree, plaintively calling up to Father, urging him to find me a delicious plum. He never responded. The tree finally stripped of fruit, Father came back down the ladder and told my brother to empty the tray. They were going to start on the next tree in the small orchard. But before Otou-san grabbed the ladder and carefully withdrew it from the upper branches, he wordlessly pulled a plum from the little basket clipped to his belt and pressed it into my hand. He then moved the ladder over to the next tree and disappeared into its branches—without ever saying a word. The plum he handed me was not the largest, but it was the color of the finest red-blue ink, and it was so full of sugar sap that crystals had formed a scar over one small injury in the fruit’s smooth and taut skin. I sank my teeth into it, and the red flesh squirted deliciously, like watery fireworks, the juice dribbling down my chin. Father had found me the most special of plums. Daiki came back with the emptied tray. He stopped and stared at me as I wolfed down my special gift. Father brusquely called his name, and my brother finally stirred, moving on to help Otou-san in the next tree. But as he did, he swung close by me at the tree’s base and pinched so hard I yelped with pain. For several days thereafter I had a plum-colored bruise, as if the juice of that special gift had somehow stained me on the inside. A few pilgrims, back from the Head Temple, moved about in their rooms inside the inn, washing up before dinner. Mrs. Saito’s dog bayed in the background. The black tobacco smoke of Otousan’s cigarette rose and curled around his head as he squatted over the cobblestones. He suddenly pressed his thumb and forefinger into his eyes, not like he was rubbing them, but hard, almost like he wanted to poke them out. The downward tip of his head in the fading light, the squatting silhouette, exuded a profound exhaustion, to the bone, and this is the essence of my father as I remember him. But Daiki saw things I could not. Like all lay Believers of the Headwater Sect, we had an altar in our home. We recited the Lotus Sutra every morning and every evening, lighting incense and praying for our ancestors. I thought it all tedious and boring, but I did like hearing Lord Shakyamuni’s adventurous tales from the sutras, partly because I associated these stories with my mother in her most tranquil state. When she was in this mood, she would sit in the inn’s garden with Onii-san and me, and tell us stories of the Buddha’s life: How Lord Shakyamuni was born Siddhartha Gautama in southern Nepal, son of King Suddhodana and Queen Maya of the Shakya tribe. How he rejected his pampered life in his father’s royal court and, leaving his wife and child behind, went out into the world in search of a spiritual practice that could overcome the four great sufferings of life—birth, old age, sickness, and death. And then my favorite bit, which I made her tell and retell: how, at age thirty-five, sitting under the Bodhi tree, Lord Shakyamuni became enlightened, encircled by a snake. Many years later, on an unassuming April afternoon after I turned eleven, Okaa-san stood glowing with happiness at the entrance of the parental chamber. She beckoned me with her hand: “Come, Seido. Come. Don’t be afraid.” The palm of her hand was stretched out in invitation. Inside their bedroom, Otou-san was kneeling on the tatami, his head tipped down so it was impossible for me to read his face. Father’s fists pressed flat against his thighs, his elbows splayed out like the wings of a dragon. A half-finished bowl of udon noodle soup and a folded newspaper sat on a tray in the corner of their room. I cautiously crossed deeper into the room and knelt before them. Father did not look up from the floor and I could faintly hear Yuji playing with the baby behind the fusuma wall panels. I bowed but did not speak. In those days such things were decided among the adults—children were never consulted. But my mother downplayed what everyone in the village already knew: boys who joined the Head Temple as acolytes were forbidden to see their families throughout their first seven years of training, but for an annual thirty-minute visit. It was for this reason—and an intuition that something was fundamentally wrong with this turn of events—that I uncharacteristically talked back. He never looked up from the floor. He never looked at me. Senior Brother looked down at his brown hands, picked at the scab in the meat of his thumb. I turned and went outside for air. Mount Nagata was shrouded in a gray cloud. I crossed the stone bridge below the inn and climbed up on the moss-covered boulder overlooking the Town Pool. On either side of the river, washing hung from bamboo poles in the backs of the houses that stood drunkenly over the pool’s overhanging cliff face. I lay on my stomach on the moss-cushioned boulder and stared down at the ayu in the tail end of the pool below. The deepest part of the water was a dark, almost black green. I began to weep quietly. Someone climbed up on the boulder. It was Daiki. He had followed me. He did not say a thing. A trout rose lazily from the bottom of the pool. It was nearing dinnertime, so we returned to the inn for our usual evening chores. Inside, my mother was barking orders at the kitchen help as the guests in their rooms were getting ready for the evening, taking baths and shrugging on freshly laundered yukata robes. I ran between the kitchen and guest rooms with bowl-laden trays as Onii-san and my father greeted a clutch of late-arriving guests at the main entrance. The inn was full and we were all very busy running back and forth, until we were exhausted. His eyes widened and we passed without further words. But I will never forget that look my brother gave me. It haunts me to this day. He was no longer laughing at my youthful promise, as he had done earlier on the boulder above the Town Pool. Rather, his silent, wide-eyed look reminded me of Mrs. Saito’s dog the day it had hid trembling behind my knees during a thunderstorm. The eyes of the dog had pleaded, Save me. Take me someplace safe—far, far from this. Daiki wore the same pleading look. That night at the inn. Yuji and I stood in the doorway of my parents’ room. Inside, Father had his back to us. A fly landed on Otou-san’s hand tucked under his armpit, and he flicked the insect away. The fly took off, circled, then returned to the same perch on Father’s knuckle. This time he did nothing. “Is he sick?” Yuji whispered. The fly rubbed its hands. Senior Brother and I were inseparable in the weeks following the announcement that I was to join the Headwater Sect priesthood. We understood that the precious time we had together was dwindling fast and in early June we convinced Mother to let us have a day off for fishing. She packed us a lunch and before the sun rose the next morning we were out, climbing down behind the old Shinto Fox Temple below the village, fishing in a mountain tributary that fed into the Kappa-gawa in the craggy pass below. It had been unusually warm. Mrs. Saito’s yellow dog followed us through the brush and sat on the riverbank, panting as he watched our progression downriver. The dew that had covered bushes and brittle rock in the early morning had quickly burned off in the first rays of sun. After fishing both riverbanks through the morning, Daiki and I looked at each other, wordlessly communicating as brothers do. We took off our fish baskets, carefully put aside our rods, and went for a swim. The cold mountain river bubbled around us like sparkling sake and refreshed us immediately. After our swim we lay down under a wild-growing mountain cherry tree and ate some bean curd and smoked fish from Mother’s lunch box. Senior Brother fell asleep with his head on Mrs. Saito’s dog. I could not sleep, so I watched Onii-san, my nose filled with the smell of the rushing river and the trout we had caught earlier, drying in the warm sun. When my brother woke we continued to fish our way downriver. It was late afternoon when we reached our favorite hole just below Lady Fingers Waterfall. The ayu rose steadily to our flies in the approaching dusk; Onii-san helped me land a particularly fat and hard-fighting fish. “That will feed a few guests,” he said. I slipped the trout into my grass-filled basket, and Onii-san caught his first glimpse of the half dozen fish fatly laid out inside my cane carryall. He clapped his hands and laughed delightedly at my catch, patted me on the back of the head. Onii-san turned around and walked back to his own fishing spot at the tail of the pool. I cast a final look in his direction as he took up his fishing rod again on the far side of the rock, his fly elegantly cast out on the water. The setting sun hit the angle of the waterfall spray just so, transforming the fine droplets of mist into an airborne diamond dust, and in this dappled light my brother stood alone, slowly passing into the coming night. I was eleven years old. It was July and blistering hot. The sun blazed, making Mount Nagata’s glacier sparkle, and I now realize that this unusually hot and dry weather was an omen. Early the morning of my initiation into the priesthood, my parents brought me to the Head Temple’s main entrance, the Buddha Entry Gate at the front of the monastery’s commanding stone wall. Twenty-one acolytes entered the Head Temple that year. I have a vague recollection of white-faced children dropped off by their parents, some from cities as far away as Kagoshima in Kyushu. The parents were instructed to return at noon for the formal initiation ceremony. Each new boy was appointed a “brother,” a senior acolyte of around sixteen or seventeen, to serve as his mentor and guardian. Mine was waiting for me at the gate. He wore the same charcoal-gray robes as the Senior Priests, but with an additional white acolyte sash. I sneaked peeks as he spoke to my parents. He was tall, square-jawed, his heavy brows giving him a rather intense appearance. Fukuyama led me through the gate, up the monastery’s paths, to a Head Temple back room, where I joined acolytes lined up behind the older monk who was ritualistically shaving the boys’ heads. We were measured and dressed in acolyte robes, a white kesa patch-sash tied over the left shoulder of the gray robe. We were given our own sandalwood juzu prayer beads and a copy of the Lotus Sutra personally inscribed by the High Priest. I can still recall the feel of the razor against my head, the buzzing of the flies in the torrid heat, the feel of those silk robes against my trembling limbs. The ceremony was performed in the courtyard of the Head Temple, on a dais built every year for the Acolyte Acceptance Ceremony. I knelt with the other boy-acolytes joining the priesthood that day. At half-past noon the seventy-seventh High Priest leaned into the microphone and announced my name. The prayer drums kept time with their beat as a chorus of monks in the background incanted the Lotus Sutra. I rose and went to the elevated platform and bowed to the High Priest. A dragonfly buzzed about his face but he did not blink, just went about the ritual with calm determination. I turned and knelt with my back toward him, looking out at the audience below. The senior monks placed shikimi leaves on my head, and, as we had been taught, I held a piece of white paper horizontally across my chest. Sweat trickled down my back. The air was swollen with the shimmering heat and rhythmic chanting; below the platform, acolyte families, including my own, were dressed in their best clothes and holding cameras. After a few prayers, the High Priest took a ceremonial knife and wordlessly pushed the shikimi leaves off my head. They fell with a flutter onto the white paper I held at my chest. With this simple ritual the High Priest had “cut” my worldly illusions—and I was an ordained Priest of the Headwater Sect. After all the acolytes had completed the initiation rite, the High Priest brought the formal ceremony to a close. I looked across the platform at my mother, who was sitting in the front row below us. My parents bowed at me for the first time. It was a momentous occasion. I was now a Priest worthy of respect. I can still recall the way my father looked that day: how the sweat poured off his brow, the shininess of his gray suit, the blackness of his eyes as he thrice lowered his head to the floor in a sign of deepest respect and honor. After the ceremony, the new acolytes were allowed to talk only a few minutes with their families, to say their goodbyes. I quickly went to my family’s side. My father was blank-faced. Mother was uncharacteristically too emotional to talk, and she hid her mottled face, distorted by deep sorrow and soaring pride, behind an embroidered handkerchief she clutched before her mouth. Onii-san kept his head bowed, like he was too afraid to look in my direction. Before I knew what was going on, before I could properly say goodbye to Onii-san and my younger siblings, Senior Acolyte Fukuyama was at my side and making me turn my back on my family. This abrupt parting—it remains one of my deepest sufferings. Fukuyama escorted me out of the courtyard, through the Head Temple’s dark woods, along the Kappa-gawa, up to the long room assigned to eight of the new acolytes. It was a simple chamber at the back of the Temple of Everlasting Prayer, a “Little Temple” near the grounds’ East Gate. Reverend Hashimoto roused us at four a.m. Two junior priests banging gongs flanked him. He ordered us, in a clipped tone, to roll up our futons and dress in our robes. A third priest barred us from splashing water on our faces in the adjoining room of communal sinks. Still stupid with sleep, we were led into the adjacent Hall of Worship. On our knees before the Cluster of Jewels Mandala, we promptly started reciting the sixteenth chapter of the Lotus Sutra at 4:20 a.m.
To the uninitiated, this might appear like some form of hazing, but this early-morning prayer ritual was based on the soundest of Head Temple practices: it is best to pray to the Buddha in that halfway state between sleep and consciousness immediately after waking, for that is when our inner life is still open and alive with dreamlike possibilities, and the ego is still too weak to make the mind do its bidding. We prayed for over an hour before Reverend Hashimoto finally allowed us to wash up and have breakfast. This, then, was how my life as a Priest at the Temple of Everlasting Prayer began. It wasn’t too bad at first, for those early days were filled with acolyte camaraderie forged in the heat of our rigid new schedule. But that all changed the twelfth day after I entered the priesthood. My duty that morning was to sweep the Temple of Everlasting Prayer’s outer courtyard. The sun was rising for another scorching day. Carrion crows restlessly swooped in between the nearby trees, cawing their warnings, but I kept my head down and swept the dust to the tam-tam of the prayer drums and the nasal incantations of the Priests praying on the other side of the temple’s wooden walls. Chief Priest Kawaguchi and Senior Acolyte Fukuyama suddenly appeared in the courtyard. They were red-faced, yelling, and it took a few moments before I realized what they were telling me. The family ryokan was on fire. “Go with Fukuyama. Go!” cried Reverend Kawaguchi. I dropped the broom and Fukuyama and I ran as fast as we could, through the forest, down along the Kappa-gawa, around the Head Temple, and out through the Buddha Entry Gate. It was eight kilometers to Katsurao from the central gate, and as I ran, heart pounding, I could see the fire and smoke rising up from the village, through the ginkgo forest. When we finally reached the lower terraces of Katsurao, Fukuyama and I were bent over and grasping our sides, desperately trying to catch our breath. But it was already over. What had been my home was nothing but a heap of charred earth and embers, water-soaked by fire hoses, still smoldering and smoking like some vision from the underworld. I walked stiff-legged around where the police and firemen had the inn’s grounds taped off. Back and forth across the bridge I walked, trying to see the devastation from all possible angles, as if a new perspective would somehow help me process what had just occurred. My family was no more. Our entire history, all the earthly mementos of my ancestors, had been lovingly stored in that house. No longer. I was now truly without a home—in the realest sense, not just in priestly terms. Villagers had lined up across the bridge. Every time I came through they wordlessly parted to let me pass. Fukuyama walked two steps behind me. Standing on the bridge, I saw two policemen in white jumpsuits bend over black lumps, poking at bone ash with their pens. This, I suddenly knew, was the last earthly remains of my family. I leaned over the bridge and threw up. Of the horrors of that day, it is the sound of my breakfast plopping into the Kappa-gawa that I recall most clearly. According to what the investigators eventually pieced together, my father got up early that day, before my mother and brothers and sister had risen. He made his way to the work shed in the back of the inn, where he kept an emergency supply of gasoline for the generator. No one knows for sure what happened next. Perhaps the failing generator needed another round of fine-tuning and, in the process, an accident occurred. Or perhaps it was a deliberate act. It was never clear, not even when the official investigations were concluded. What I do know is that at some point my father knocked the gas canister over, and a spark, probably from his cigarette, hit the puddle. It could very well have been an accident. But, according to the forensic report, he was soaked in gasoline when the spark hit. This much was clear. But there was no note, no last communication. But Father never said much—ever. And so I will never be certain about what happened that day. Japanese houses built in the 1800s were made entirely out of wood. The interior walls of Great-Grandfather’s ryokan were fashioned from rice paper and the floor was made from tatami mats of woven straw. The inn, in short, was nothing but fuel for a fire, and within seconds the flames leapt to the main house from the back shed. The fire warden said my mother and siblings, sleeping on the upper floor, would have had little chance to escape. The inn and two other houses burned to the ground before the fire was under control. Nine villagers died that day. My only consolation is that our terrible karma did not consume our innocent guests sleeping in the 1920s addition attached by a covered walkway to Grandfather’s original house. They were all spared. The wind was blowing west that day. She kept on screeching this at me, over and over again. Senior Acolyte Fukuyama was only sixteen years old at the time, but he turned on the hysterical woman and slapped her, which seemed to have the desired effect. She was instantly silenced. The harried ambulance staff took her away. It was only later I realized that the old woman had not been talking about her husband, or my father, but about Onii-san. This was how he died, screaming in pain, his arms flailing, his back on fire. Much later, as an adult, I finally came to understand that my father had suffered from clinical depression all his life. Every day of his existence he had fought the good fight, to put his clothes on and go to work in the inn he had inherited, until he could do so no more. In our village in those days, we did not know of such things, clinical depressions and psychotic breakdowns. But now, looking back to that summer, I am convinced my father knew he was losing his battle. Turning me over to the safe hands of the priesthood was his final act of love. Why was it only me, not Daiki or the other children or even his wife, that my father decided to save? This question tortures me to this day. After many years of endlessly revisiting the events that led up to the tragedy, I have come to the conclusion that my father meant to end his own suffering that day, to take his life, but he never meant to also take the lives of his wife and children and innocent neighbors. I cannot believe such a thing. He loved them, too, in his silent way. I know this. It was simply the unpredictable nature of fire on a dry summer day that swept my family from this earth. 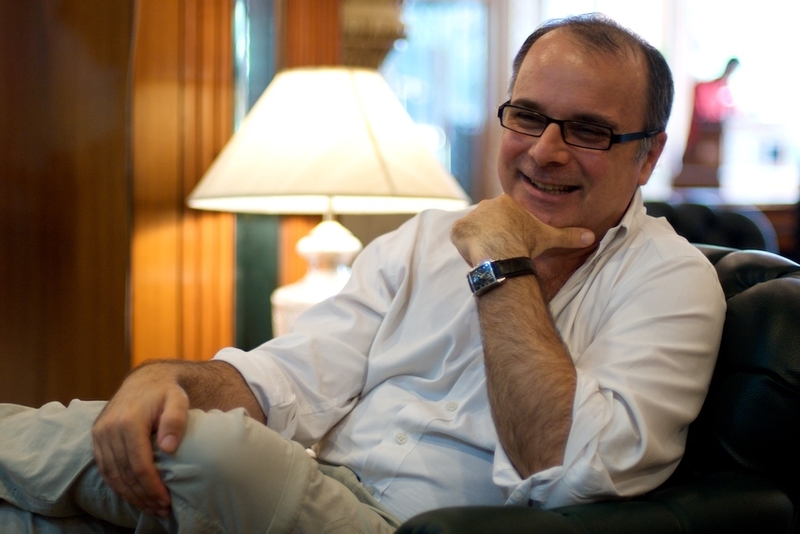 "The world Morais creates is quirky and enchanting. His recurring rumination on the meaning of enlightenment and acceptance is worth savoring." 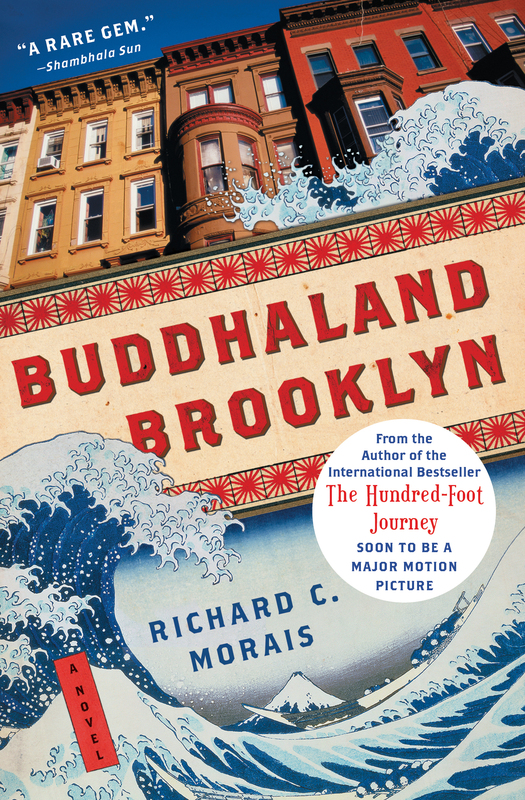 "Readers who follow Morais's lyrical narrative will find spiritual redemption of their own in his search for the paradisiacal Buddhaland. A vivid portrait of faith lost and found through the eyes of a Japanese Buddhist monk in America." "Morais has struck gold with this novel, which is simultaneously funny, sad, and enlightening."